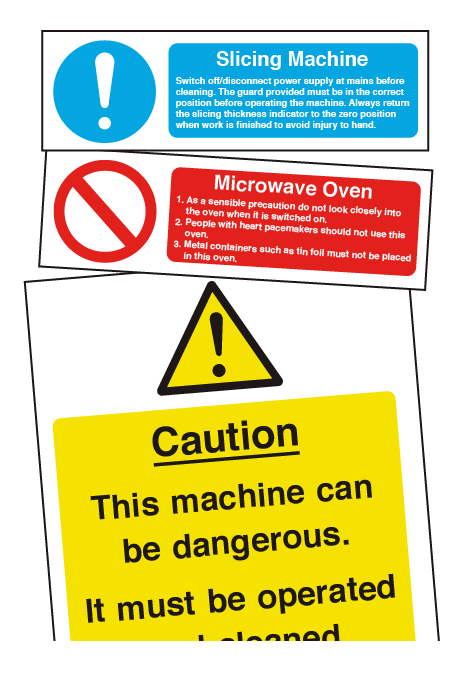 The signs in this section have been designed from information provided by The Food Standards Agency and the HSE to help the employer make catering staff more aware of the food hygiene standards required by Law. 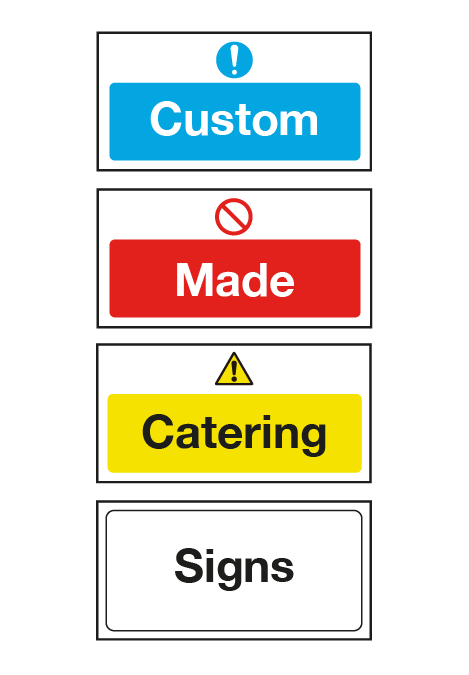 Having the correct catering safety signage and food labelling system in place will help make chefs, cooks and catering staff more aware of potential hazards in the kitchen while reducing the risk of food contamination, cross contamination, food waste, accidents and injuries. 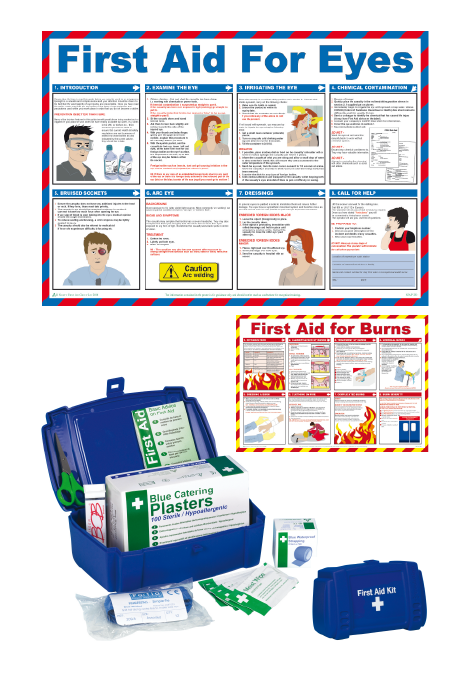 SIGNS CAN PROVIDE BOTH TRAINED & UNTRAINED STAFF WITH ESSENTIAL HYGIENE, FOOD PREPARATION & FOOD STORAGE INFORMATION. 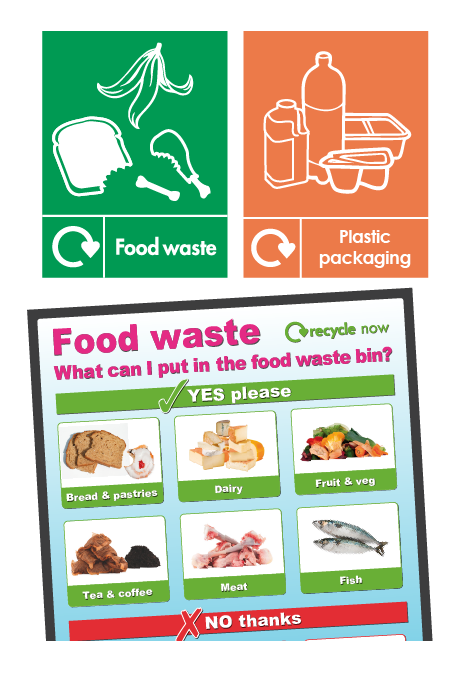 Improving your Food Hygiene Rating "scores on the door" has been proven to increase custom to your establishment. 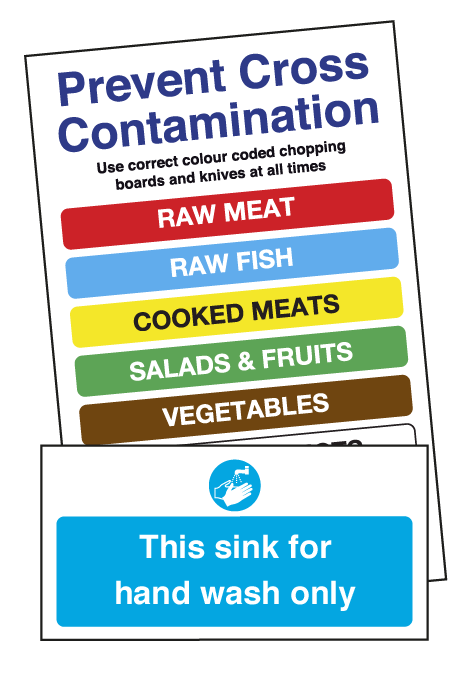 It's a reassuring sight when you see a food hygiene sticker in the window of a restaurant or takeaway. 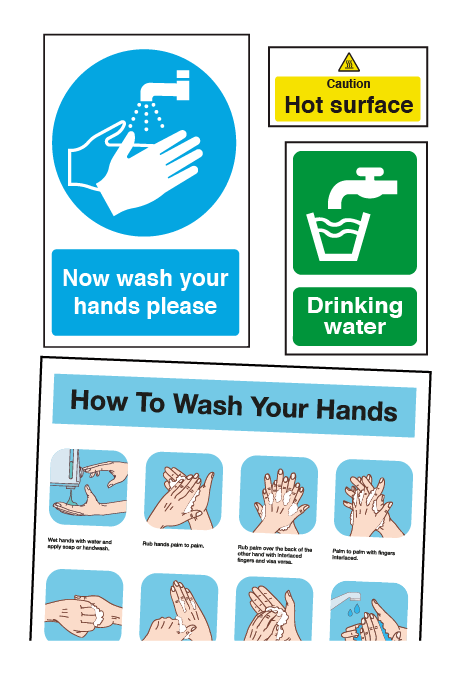 A rating of '4' or '5' - meaning the establishment you're entering has good or very good hygiene score from inspectors. This rating gives your customers peace of mind and atracts new customers knowing that they should be safe from hygiene risks during there meal. 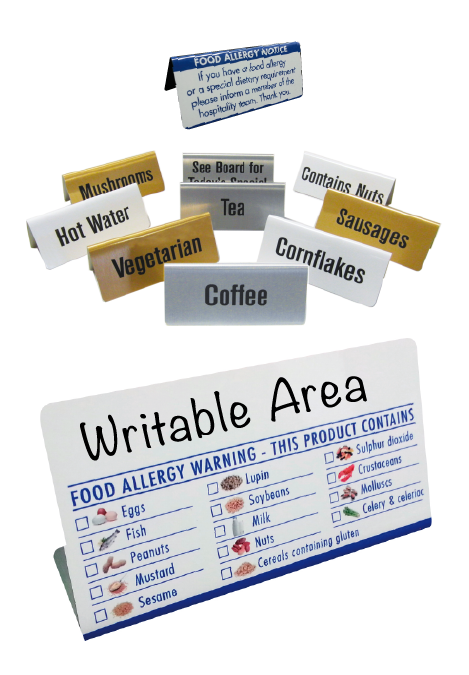 Signs & Labels play an important roll in the catering industry if you cannot find the sign, poster or label you need, please do not hesitate to get in touch. 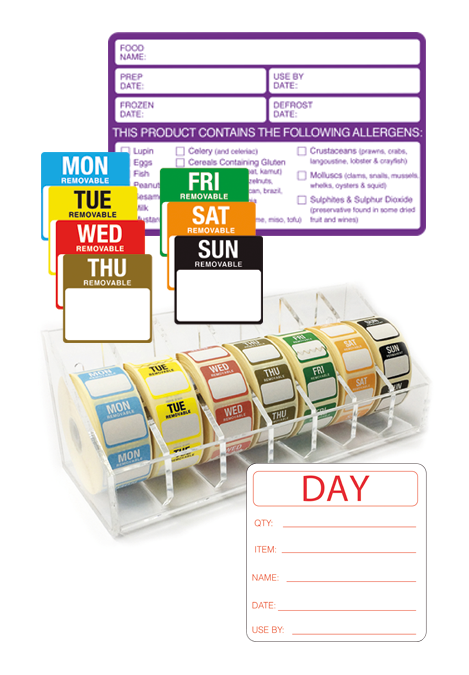 We can print signs, posters and labels to order. 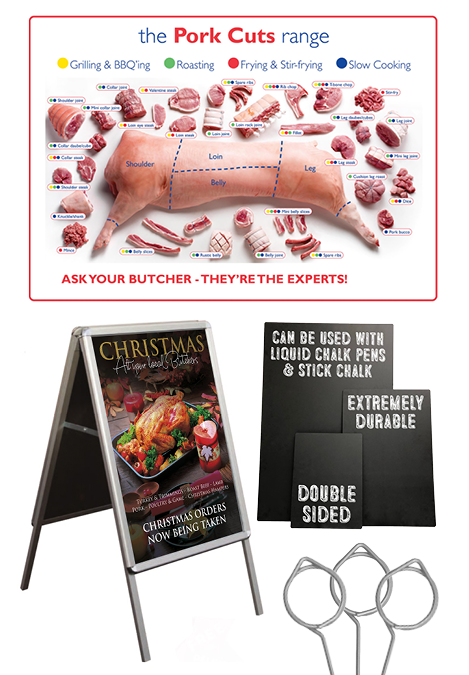 Any size, any shape, any quantity.